CANBERRA, Australia - Australia will issue its first formal apology to its indigenous people next month, the government announced Wednesday, a milestone that could ease tensions with a minority whose mixed-blood children were once taken away on the premise that their race was doomed. Christine King of the Stolen Generations Alliance, one of the key indigenous groups the government has consulted in crafting the apology, said she was "overwhelmed" that a date had finally been set. "Older people thought they would never live to see this day," King said through tears. "It's very emotional for me and it's very important." 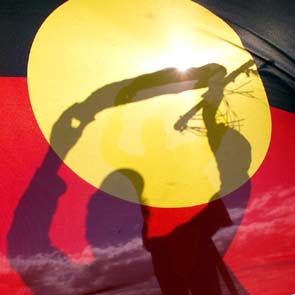 Australia has had a decade-long debate about how best to acknowledge Aborigines who were affected by a string of 20th century policies that separated mixed-blood Aboriginal children from their families — the cohort frequently referred to as Australia's stolen generation. "It's a moment that all Australians should feel incredibly proud of, that we're recognizing the mistakes of the past," she said.